tools for reading Archives - Learn to speed read in 2 day course with the top Speed Reading experts in the UK. Speed Reading courses in London, UK. Speed Reading strategies to increase reading speed, comprehension and memory. In-house speed reading courses in the UK. 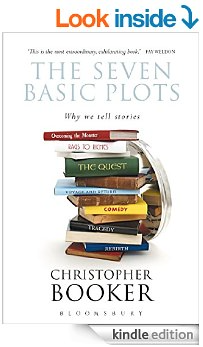 In the 18th Century, Italian playwright Carlos Gozzi identified 36 plots or situations in fiction, which includes: 1) supplication (in which the supplicant must beg something from power in authority), 2) deliverance, 3) crime pursued by vengeance, 4) vengeance taken for kin upon kin, 5) pursuit, 6) disaster, 7) falling prey to cruelty/misfortune, 8) revolt, 9) daring enterprise, 10) abduction, 11) the enigma, 12) obtaining, 13) enmity of kin, 14) rivalry of kin, 15) murderous adultery, 16) madness, 17) fatal imprudence, 18) involuntary crimes of love (e.g. : discovery that one has married one’s mother, sister, etc), 19) slaying of kin unrecognised, 20) self-sacrifice for an ideal, 21) self-sacrifice for kin, 22) all sacrificed for passion, 23) necessity of sacrificing loved ones, 24) rivalry of superior vs. inferior, 25) adultery, 26) crimes of love, 27) discovery of the dishonour of a loved one, 28) obstacles to love, 29) an enemy loved, 30) ambition, 31) conflict with a god, 32) mistaken jealousy, 33) erroneous judgment, 34) remorse, 35) recovery of a lost one and 36) loss of loved ones. Printed books (as we know them) have dominated the transfer of information, knowledge and wisdom for over 600 years. Digital technologies allow for better presentation of information. Visual language was the original concept behind presenting information in less linear and wordy formats. Animated infographics are paving the way to quicker, more effective ways to present information. Here’s an example of the history of the development of iPhone in an animated infographic video. However ineractive apps are the real future of information delivery. One of my favourite apps is ZITE – where the app is actually learning what I like to read and finds the appropriate information, saving me lots of time.